The DUP has accused the PM of breaking promises over plans to avoid a hard border in Northern Ireland post-Brexit. The party reacted angrily to a letter from Theresa May to DUP leader Arlene Foster, later leaked to the Times. In the letter, Mrs May explains the EU wants a contingency of Northern Ireland staying in a customs union if no border solution is found during the post-Brexit transition period. Downing Street reiterated the PM’s own commitment to avoiding a hard border. Why has the letter annoyed the DUP? The five page letter was sent three days ago – in response to a letter from the DUP outlining the party’s expectations for a Brexit deal. It states that the EU has proposed a contingency plan to keep Northern Ireland tied to Brussels’ customs union and single market if future trade talks are unsuccessful. But one paragraph in particular has been seized on by the DUP. In it, Mrs May writes that she could not accept any circumstances in which a proposal that would break up the UK customs territory “could come in to force”. But the DUP has interpreted the wording of her letter to mean that the EU’s proposal – known as the “backstop to the backstop” – will be contained in the Brexit divorce deal despite Mrs May’s insistence it will never come into effect. Arlene Foster says it has “raised alarm bells” as Mrs May appears “wedded to the idea of a border down the Irish Sea”. The UK and the EU both want to avoid a “hard border” – physical checks or infrastructure between Northern Ireland and Ireland. The backstop solution is a safety net – an arrangement to maintain an open border on the island of Ireland in the event that the UK leaves the EU without securing an all-encompassing deal. The UK government has so far proposed a backstop – with an expected end date of 2021 – which would effectively keep the whole of the UK in the EU customs union for a limited period after Brexit. And the backstop to the backstop? The EU is adamant that there cannot be a time limit – any backstop must apply “unless and until” it is no longer needed. So if a proposal for a time-limited, all-UK backstop formed part of an agreement there would also need to be something in place in case the issue of the Irish border was not sorted out by that end date. 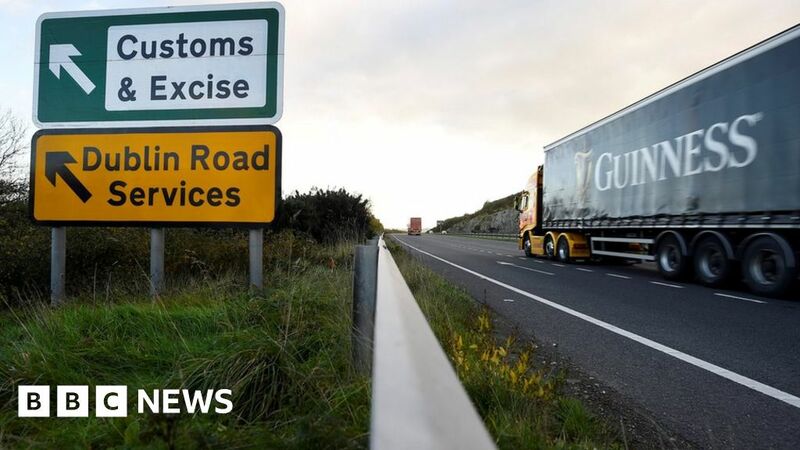 That “something” – a “backstop to a backstop” – is a return to the original EU proposal which would see Northern Ireland in a European customs union and would mean a customs border in the Irish Sea. Downing Street says the letter sets out the prime minister’s commitment “to never accepting any circumstances in which the UK is divided into two customs territories”. A spokesman added that “the government will not agree anything that brings about a hard border on the island of Ireland”.